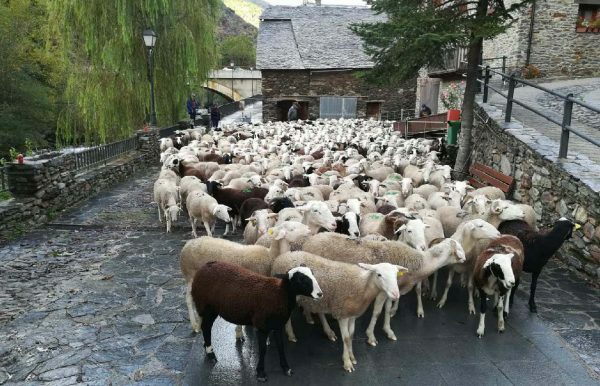 Sheep from the Boldis-Àreu flock now back in the valley. In summer they can be seen on the GR11 near the pass between these two villages. 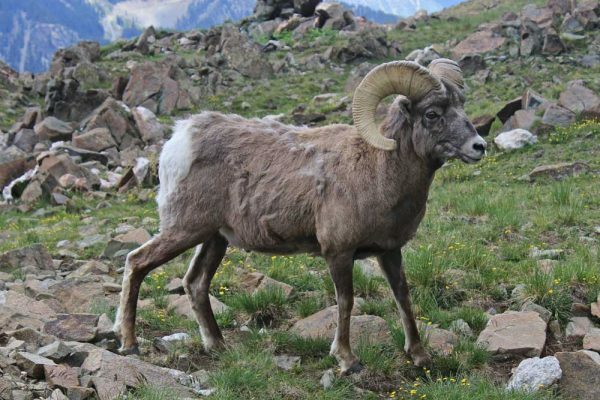 Source: Press release Department for the environment and sustainability, Generalitat de Catalunya, in conjunction with PirosLife and EU Life program, 31 October 2018, with additions based on interviews with one of the shepherds involved. 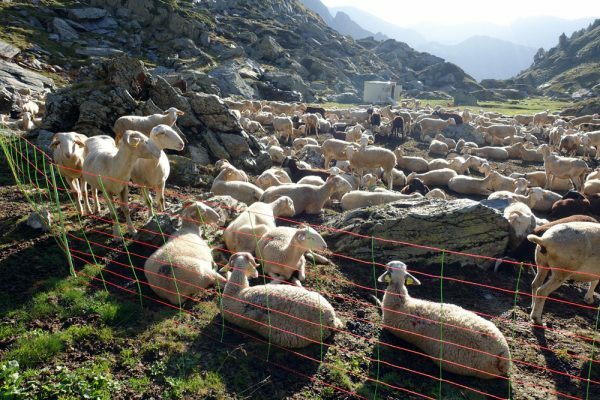 After five months in the high pastures the 36 sheep farms working with the PirosLife project have brought their 5600 sheep and goats back from the mountains. 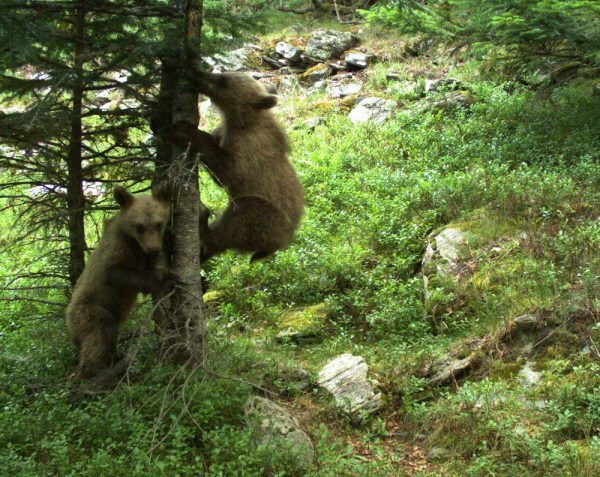 While in the mountains the animals were grouped into six flocks and various measures taken to protect them from bear attacks. The cost is borne by the PirosLife project. 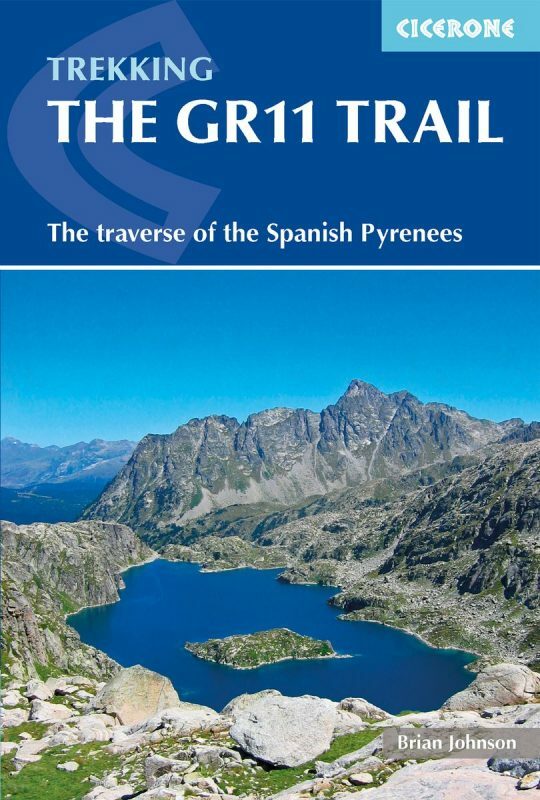 Brian Johnson’s revised guide to hiking the Spanish GR11 will be published by Cicerone on 15 April. It includes all route changes and changes in facilities up to September 2017. 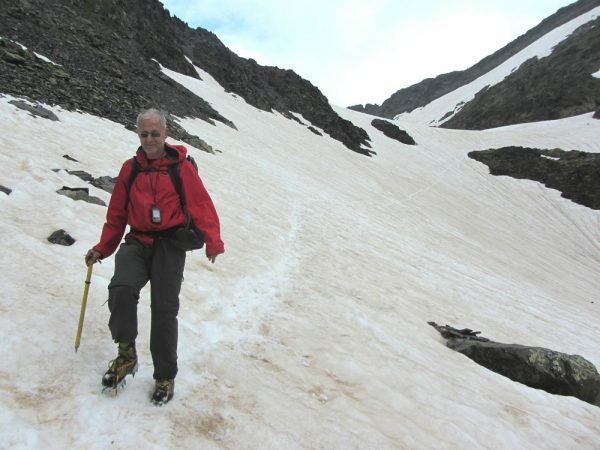 If you want to avoid carrying your crampons and ice-axe in your rucksack see my page on the trekking season in the Pyrenees. Are Catalans better than French in dealing with bears? My first is in walking, but under the sea. My second is saintly, but not on the Way. My third is edible, much prized and much prised open. My whole is a riddle, the search for meaning. 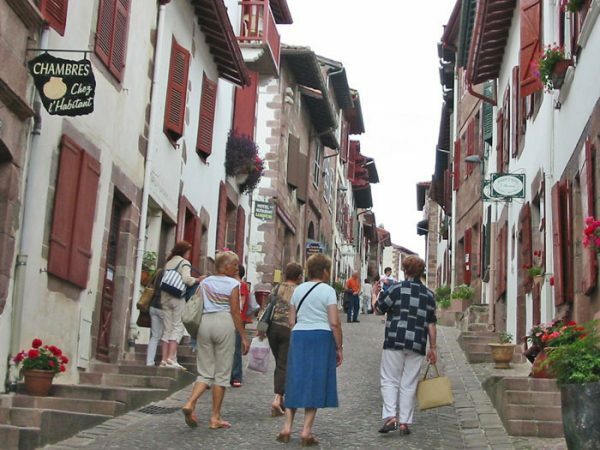 How did scallops become associated with the Way of St James pilgrimage, to the extent of becoming a ubiquitous way mark? 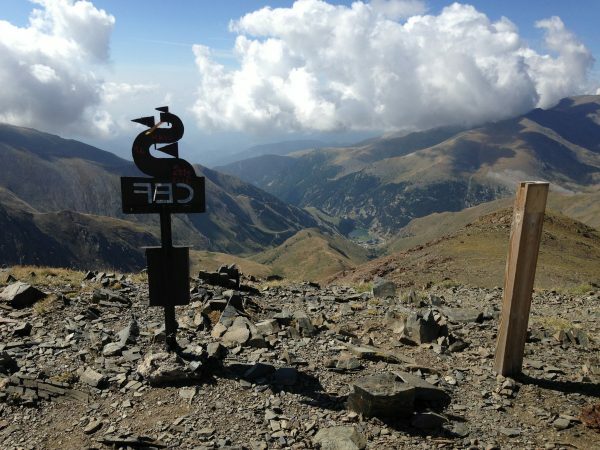 Aneto, at 3404m may well be the highest point in the Pyrenees but it is not the highest point on the Spanish peninsula. That honour goes to Mulhacén, 3479m, in the Sierra Nevada, within sight of Granada. It is said to be the last resting place of the penultimate Moorish king of Spain, Mulay Hasan. 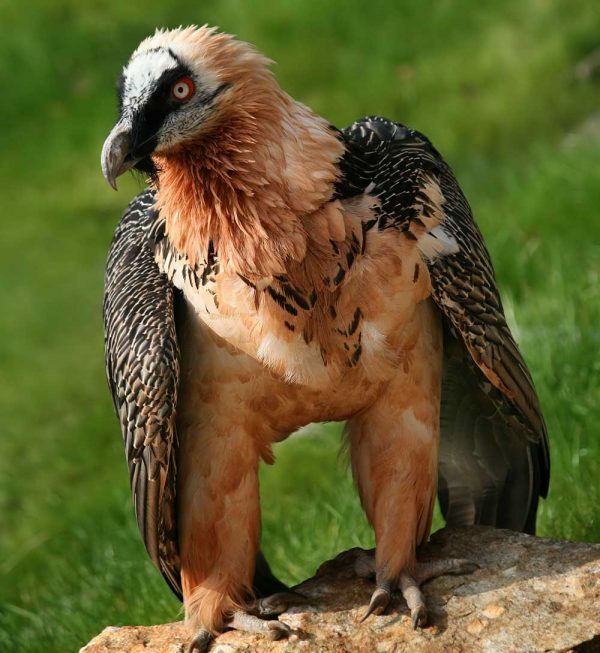 Unlike its Pyrenean rival however, Mulhacén is not a great challenge to climb in summer. From the Alpujarras, to the south it looks like a big potato: locally it is known as the “Cerro”, the hill.